John is the Managing Partner of Integrity Governance. John specialises in working with businesses at a point of inflection - whether that be due to growth, new markets, mergers, acquisitions and crises; and businesses under pressure to change due to ownership, generational, economic or legislative forces. He brings expertise in healthcare, water, professional services, education, primary production, disability and government owned businesses. 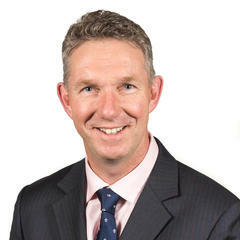 John has over twenty five years’ experience in business management. He has held head of business, chief executive, Chairmanship and directorship roles in a range of companies from multinationals to SME in Europe, Australia, Canada and the US. John gained significant human resources, strategic planning, product and service development expertise along with further specialisation in communications, business management, governance, investment and stakeholder engagement at Mars Incorporated, Goldman Sachs JBWere, Schroder’s and Capital International. John has a strong affinity with the not for profit, education, primary production and healthcare sectors. John holds an honours degree in Veterinary Medicine. Board Leadership Fellow of the NACD (USA) Member of the Chartered Institute of Public Relations. John holds the Company Directors Course Diploma and has completed the Mastering the Boardroom Course. He completed the “Leading Professional Services Firms” postgraduate course at Harvard Business School and has regularly participated in the Corporate Governance Summer School at Stanford University. 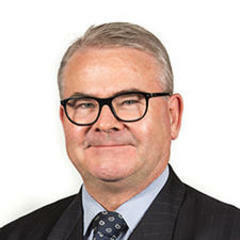 John is a core, national, and international facilitator for the Australian Institute of Company Directors. He is a regular speaker on board effectiveness, practical governance and enabling boards to deal with business disruption. James Carroll joined Integrity Governance as our Business Manager in 2016. He is an experienced people manager, strategic planner and specialist in group dynamics. James was Ireland’s youngest Senator (aged 26) in 2009 after being nominated by the Prime Minister to contest the election. He became a new Government member during the height of the global recession and learned at first-hand how important private and public sector governance is. Dealing closely with Government Ministers, CEOs and Not For Profits, highlights in his term were the passing of the Civil Partnership Bill, Road Safety Bill (reducing the drink driving limit which saved lives) and two Budgets. After politics, James helped found a Not for Profit which provided work experience for recovering alcohol and drug addicts. Since moving to Australia, James has worked in the Human Resources and strategy areas focused on improving business’ internal and external systems, recruitment, and training to align them to exceed key business and community targets. 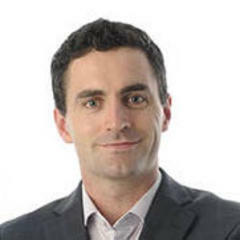 James is a Graduate Member of the Australian Institute of Company Directors. He holds a Bachelor of Law from University College Dublin. Adriaan den Dulk’s speciality area is in the governance of Risk and Insurance. He has specialised in the coordination and implementation of large, national and state level projects. He also assists clients in understanding and quantifying their risk exposures so that the most suitable insurance and risk, governance and resilience building programmes can be tailored to best meet their protection needs. 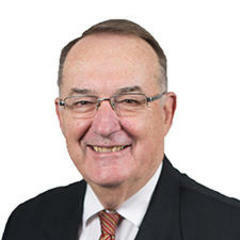 Adriaan has advised organisations ranging from: the Property Sector; the Motor Industry; Health & Aged Care; Manufacturing; Commonwealth, State, and Local Government; For Benefit Sector; Independent Schools and Universities; Energy; Mining; Construction; Logistics & Transport; as well as Dairy and Agricultural sectors. Adriaan is a Certified Insurance Practitioner; a Senior Associate of the Australian and New Zealand Institute of Insurance and Finance; and an active member of the Australian Institute of Company Directors (lecturer for the past 14 years in Strategy and Risk in the Company Directors Course, the Foundations of Directors Course and more recently the Integrity in Government Course). Bernie Delaney is a Principal of Integrity Governance. He is an experienced senior business executive and non-executive director. He is familiar with the policy and operating environment for public listed, private, and not-for-profit organisations. Bernie has in depth knowledge of governance, compliance, and associated commercial issues, with over 35 years’ experience in international business management and consulting. He was a senior officer in the Australian Trade Commission (Austrade) living and working in South East Asia (Philippines), West and Eastern Europe (UK, Spain, and the former Soviet Union). He worked with the Victorian state government representing the state's export and investment attraction interests in Japan, China, Taiwan, Hong Kong and Korea. At BHP Billiton, Bernie worked directly with Chairmen and CEO's dealing with major business issues, government relations, corporate affairs, business development, and mergers and acquisitions projects. Bernie has well developed skills in strategic planning, issues management, and decision making. Bernie can initiate and develop plans, and work with private and not-for-profit organisations to deliver results. His experience in the resources sector, security and risk management, supply chain logistics, joint venture & peak body relationships make him qualified to assist at many levels. Chair and director of the Royal Society for the Prevention of Cruelty to Animals (RSPCA Victoria), the leading animal protection and advocacy organisation in Australia. The Victorian division has over 300 staff and 3200 volunteers across the state. Director (and former Chairman for seven years) of Travellers Aid Australia. Since April 2011 he has been a director and Chairman of the Audit & Risk Committee of the Royal Flying Doctor Service of Australia (Victorian Section). Former non-executive director of Coulson Tiles Pty Ltd (commercial and residential tile importers and wholesalers). An adviser to a substantial family company involved in providing global logistics and shipping services for major resources sector projects in Australia, Southern Africa, Madagascar, and PNG. He continues to consult on development opportunities in the resources sector. Bernie is a Fellow of the Australian Institute of Company Directors. He has an International Company Directors Course Diploma. He holds a Bachelor of Arts degree and Graduate Diploma in Management. Ingrid Wren is passionate about the written word. 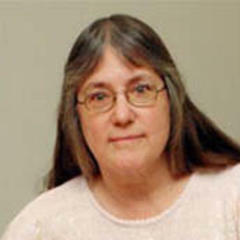 She is a trained copywriter who brings over thirty years of practical experience to the writing, editing, and proof reading of reports and business communications of all kinds. She has written articles and advertising for business publications, as well as annual reports, business plans, speeches, short stories, essays, a novel, and most recently a screenplay. Her business experience includes writing, refining, and developing sales and marketing materials in the newspaper, building, and motor industries. She has worked for small family enterprises and large private companies, accumulating knowledge of how good businesses operate along the way. Ingrid works in the Integrity Governance team to write, refine, improve and quality assure our reports, publications and surveys. She holds a Bachelor of Arts degree and is a graduate of the Company Directors Course. She is a member of the Australian Institute of Company Directors. When she is not writing, she is a competitive ballroom dancer, competing Nationally and overseas. Denise has many years of experience employed as a senior executive, consultant, and board member, with a career incorporating strategic and operational management for public and private SMEs across various industry sectors. A sound career in organizational development, Denise has tertiary qualifications covering social sciences, psychological methodologies, with certification in occupational health and safety and quality. She is currently consulting within the health sector and community groups specializing in organizational design, program analysis, auditing, and business analysis development, encompassing and promoting quality concepts. With her experience in collaborative project management, board processes, and data analysis, Denise joined the Integrity Governance team in early 2016 to assist with the provision of writing quality reviews via research, analysis of data and production of reports. Christine has worked as Managing Director and Chief Executive Officer in both global pharmaceutical, an entrepreneurial ASX listed biotechnology start-up and in the cleantech, industrial and innovation sectors in Australia, North America, Europe & Asia. Christine is currently Executive Director of Ward MM Health Group and Senior Adviser Life Sciences & Cleantech with investment banking group BlueMount Capital .Prior to that she worked with international investment & corporate advisory group AFG Venture Group. Previous board roles included Managing Director of ASX listed Eiffel Technologies Limited and Non-Executive Director of the Gordon Institute of Technical & Further Education. Eamon Roche is Director and Head of Company Secretarial Services for Integrity Governance in the UK and Ireland. He is motivated, commercially minded, and a dedicated qualified Chartered Secretary. He has extensive experience in all aspects of company secretarial work gained from a diverse and rewarding career in both the UK and Ireland. His knowledge and experience of good corporate governance originate from previous roles with Rail Safety and Standards Board Limited, Element Power, Truphone Limited, Capita Asset Services, Tesco Plc, along with Uniphar Retail Services Limited and William Fry Solicitors in Ireland. Eamon has strong communication skills and is excellent at building relationships at all levels. He is able to manage changing and conflicting priorities on a daily basis whilst ensuring attention to quality and detail. Eamon provides company secretarial services to clients as required. 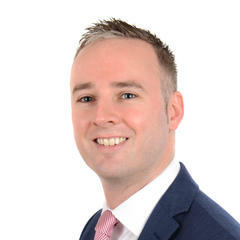 Eamon graduated from Waterford Institute of Technology in 2008 with a BA (Honours) in Business Management with Law. He also holds a PgDip in Management and Corporate Governance (University of Ulster) and a Diploma in Compliance (University of Manchester). He is a member of the International Compliance Association, a Fellow of the Institute of Chartered Secretaries and Administrators (FCIS), and a Member of the Institute of Directors (MIoD). 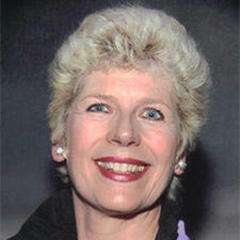 Glenda Stanislaw is an experienced change agent and Executive Director with CommCorp Consulting. Glenda specialises in sustainable, innovative ways of leveraging change to better position organisations, boards and systems to deliver better outcomes. 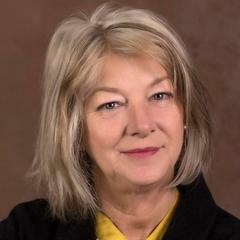 Glenda has extensive US, Australian and international experience having coordinated major projects and developed programs in developing and developed markets. Glenda brings strong professionalism, the experience of an effective CEO with the skills of a trained counsellor and mediator. Glenda brings practical understanding and experience of dealing with directors, senior public servants, politicians and senior executives. 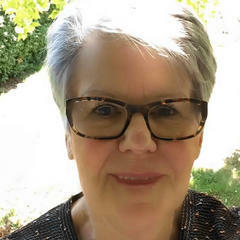 Glenda works in the Integrity Governance team as a senior consultant specialising in facilitation, human resources, board and executive dynamics. Glenda has numerous postgraduate qualifications and is a graduate of the Australian Institute of Directors. Rohan commenced his career at leading global law firm Herbert Smith Freehills as a corporate lawyer specialising in complex transactions. Since that time he has held senior leadership roles in various industries across strategy, major projects, corporate affairs and communications, and as a company secretary. Rohan’s passion is working with clients to improve their governance to ultimately improve their effectiveness and business performance. He has held various leadership positions at the Australian Institute of Company Directors (AICD), Senior lawyer, Head of strategy and major projects, and Executive officer to the CEO. Rohan was also Secretary to the Global Network of Director Institutes (GNDI), a leading international corporate governance organisation whose member Institutes represent more than 150,000 directors globally. In this role he worked closely with the Chair and Deputy Chair to establish the Office of the Secretariat of the organisation. 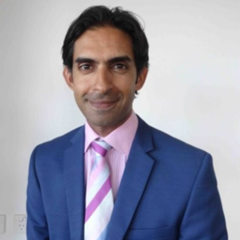 Rohan has a keen interest in the not for profit sector, particularly in working with organisations to build their governance and financial sustainability. Rohan is a graduate of both the Australian Institute of Company Directors’ Company Directors Course and the International Company Directors Course. He has a Masters qualification in Finance as well as Honours degrees in Law and Arts from Monash University and Melbourne University. Liz has crafted a compelling career managing people and workplace culture by being instrumental in designing human resource programmes both nationally and internationally within blue chip companies. 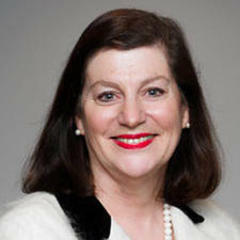 The depth, scope and variety of companies encompassing Australia, Asia and Europe have all benefited by Liz’s abilities to deliver for Boards, business owners, Government Ministers and senior public servants, leaders of ASX listed Companies and NFP, in all aspects of board effectiveness measures. Liz focuses on training, providing advice on organisational growth strategies, recruitment strategies and dispute resolution services and often acting as an advisor, mentor and support for the Principle Director, her executive peers or senior Consultants. With tertiary qualifications from RMIT in Business, Human Resources and Marketing, Liz further expanded a Certificate in Assessment and Workplace training with studies in Executive and Organisational Coaching with Swinburne TAFE. Her confident and exceptional communication talents have evolved with a sharpened perception capable of providing depth and insight. Unusual is Liz’s ability to sustain a creative, yet lateral intellect, with motivation and capacity to achieve the practical and strategic outcomes required to effect short and long-term goals.